The entire staff in the ICT department look forward to servicing your learning resource needs for the upcoming school year! Our services are in full operation. 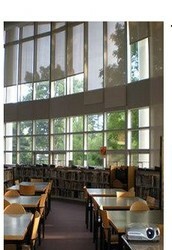 Media center facilities are centers for learning. These centers encourage the exploration of ideas and provide information, technology and literature resources which support curriculum and promote collaboration and communication. In an effort to provide opportunities for all students and staff to use our media center efficiently, we ask that you take a few moments to review the suggested tips and guidelines below. 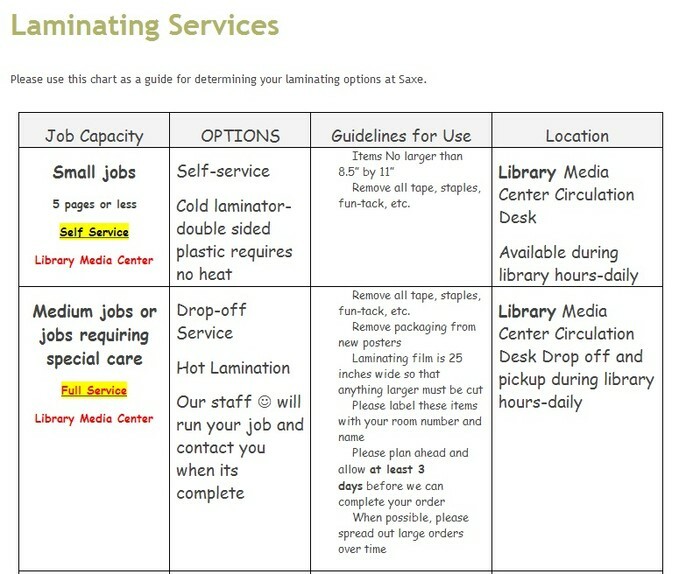 TIP #1: Bookmark the Saxe Library Media Center Online Homepage! 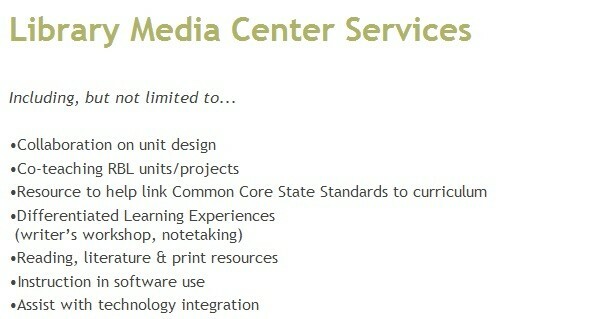 Access to many resources for students and staff are located at this central site. Take a moment to view the navigational tabs at the top of the home page. For example, there are many links under the navigational TEACHER TAB on the library homepage that may assist you this year. Furthermore, we suggest every teacher link this library home page off their team homework website for students. This will allow easy access to resources like Destiny and databases. TIP # 2: Keep our phone extensions handy and please feel free to call us anytime. WHERE IS ROOM 214? Did you know that Lab B is now classroom 214? 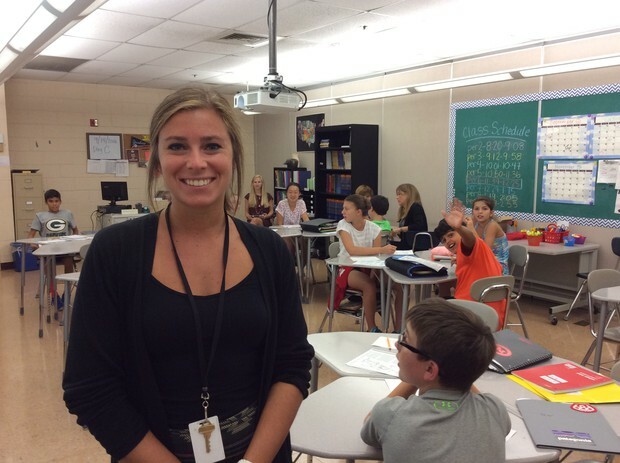 Christina Fulco, grade 6 social studies teacher, has her classroom in room 214 (old Lab B)! Clint McLeod and Mary Ann Becraft are now located on the second floor mezzanine area. 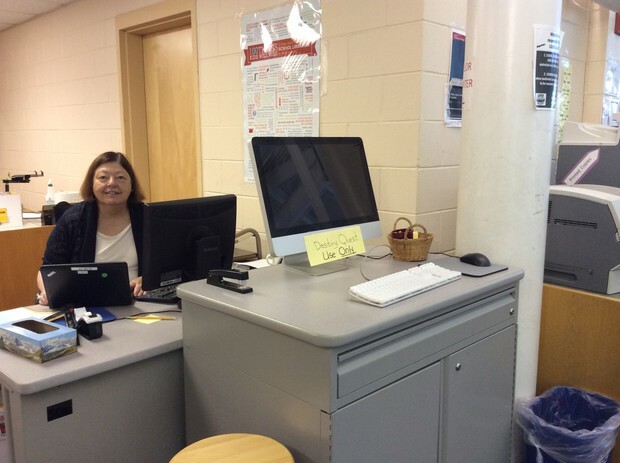 Mary Ann is located to the left of the color printer. 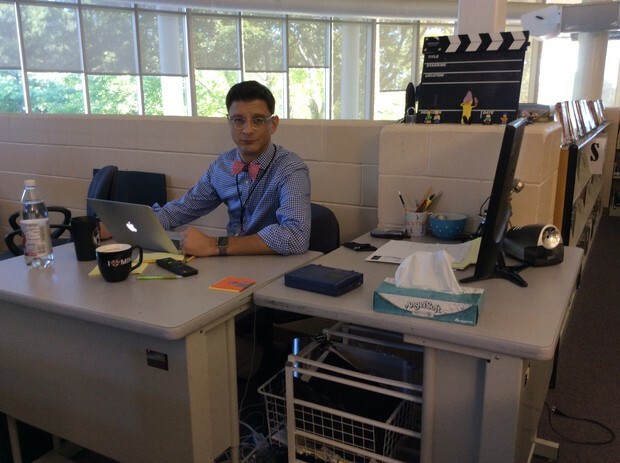 George Petrakopoulos, our new technology integration specialist (Mr. P), has a desk on the first floor of the library office. See a list of 352 titles the district owns here. With TEPL reflections due soon, you may find a helpful title! Professional Titles Now Purchased in eBooks! For example, see the title on restorative discipline below, available through Destiny! 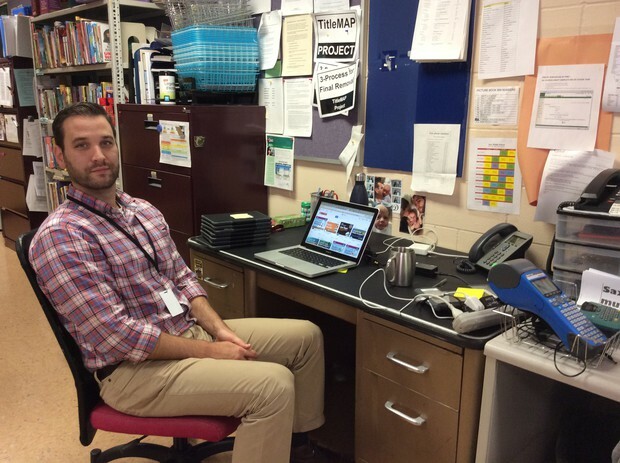 TIP #3: Don't Miss These Resource Links for Teachers & Staff! How can we help you be successful? Here are some ideas... View a list here! See what options you have here. Be sure to download the handout on the bottom of this hyperlinked webpage for preparing your laminating materials. George and Clint can help you on that new tech idea your working with! View additional online resources below. Need to reserve the library space? 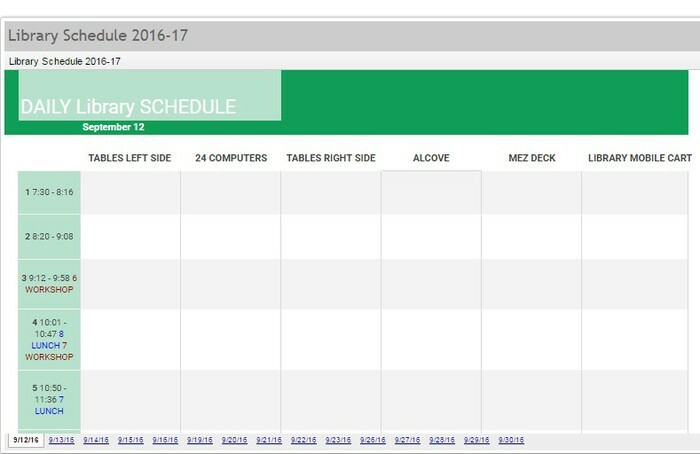 Take a look at the online schedule of space availablity! BOOKMARK THIS LINK: Library Availability Online Calendar. Note: this calendar provides a draft of the daily and weekly schedule, not all reserved time may be updated. 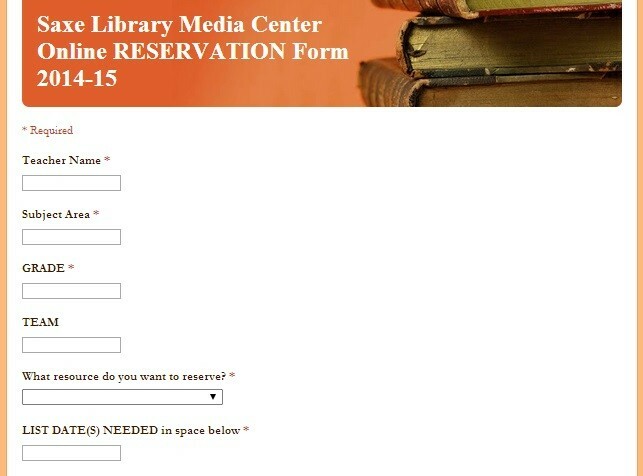 Want to reserve resources in the media center? BOOKMARK THIS LINK: Please fill out the online form. We will return your request with a confirmation as soon as possible. BOOKMARK THIS LINK: Want to know if your resource is district approved to comply with privacy laws? LOOK HERE! TIP #4: Use Student Databases..."the new textbooks and the sandbox for inquiry." Databases are an important tool for credible, accurate information seeking. We can assist you in learning how to use these important tools to aide your students~just contact us! Use this link https://sites.google.com/a/ncps-k12.org/lmc-saxe/online-resources/data to assign databases to students. Passcodes are available to NCPS students and staff on top of this webpage from home. Direct students to log into GoogleDocs first, then click on the sentence on top that states, "HELP! Don't have the pass codes? Log onto GoogleDocs, then click here!" Digital Interactive Non-Fiction Books~ The library is purchasing more titles and would love to collaborate and support teachers in the classroom in rolling these titles out to students. Unlimited Access to every title-Students in all classes can access one title simultaneously through Destiny at school or at home. 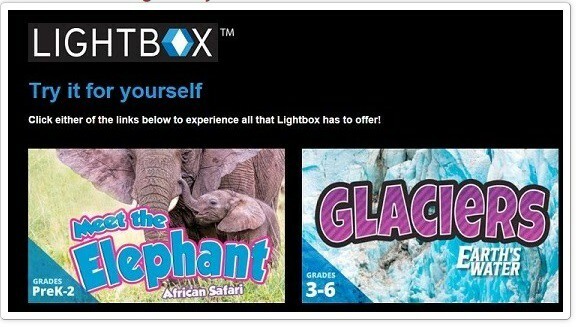 Click HERE to view a sample of a Lightbox book. The library checked out over 17,000 items by students alone last year. 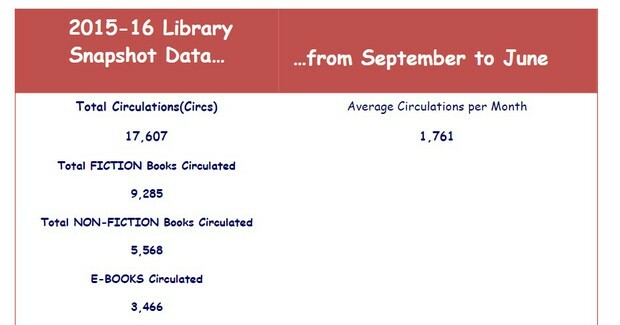 Also, our non-fiction e-Book circulation continues to rise from year to year! The library gave out over to 5,000 passes for recess in grades 5 through 8 last year, and we have over a hundred students on average after school per month. The snippets of data above show our center is a busy place! Therefore, we could really use your help in committing to the following guidelines. Collective cooperation on the items below will help to ensure that our center runs smoothly and efficiently for our school-wide learning community. -Always send student(s) with a PASS. -TWO students maximum sent at ONE time. This is especially important during workshop periods! -Students should have a direct TASK and designated return time. -Students must be able to work INDEPENDENTLY. -Set voice volume to low. -No food (due to food allergies), drinks, hats, backpacks. -Sign in to use a computer. **Computers are for school work only. -Anyone unfocused will be asked to return to class. We have 15-20 library passes to give for each grade level daily. Students opting to come to the library instead of recess must come to the library for a special pass from our staff. Students can get this pass before school or during class periods to get a pass to opt out of recess and study. Students must eat their lunch first, show their library assigned pass at the cafeteria door, get their name checked off the master list, and come to the media center to stay the entire period to independently work. Please remind students that attending is a privilege and that the media center expects students to follow all guidelines and expectations. Lastly, if you have a group of students assigned to work on a special project and would like to supervise these students in the library/lab during lunch; just contact one of us to reserve a space. The library is opened after school for student independent work. Furthermore, the library can be a place for teachers who would like to meet and work with their students after school in a more central location. No pass is needed. All students without a teacher will need to sign in and out. For your convenience, a laminated classroom sign of these guidelines will be printed and placed in your mailbox for effortless classroom bulletin board posting! In grades 5 & 6, we encourage all students to read as many titles on the Battle of the Books cart. 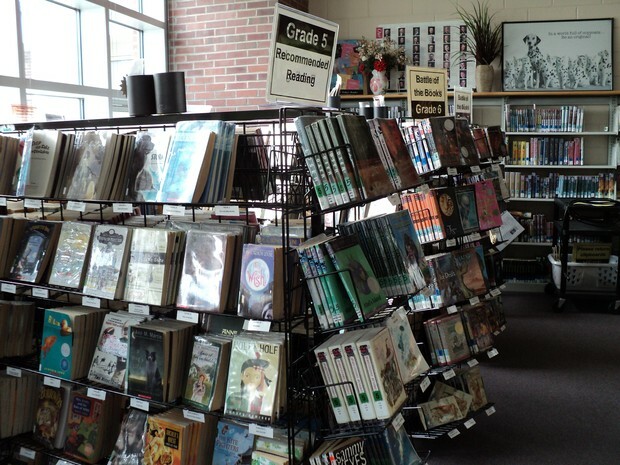 In grades 7 and 8, students are encouraged to access free reading titles on the grade recommended reading carts. This year we are encouraging grade 7 students to read all 10 Teen Nutmeg Books in order to take part in the Connecticut State Nutmeg voting in May. Teen titles may be accessed here. Please note that the teen titles contain mature teen content. 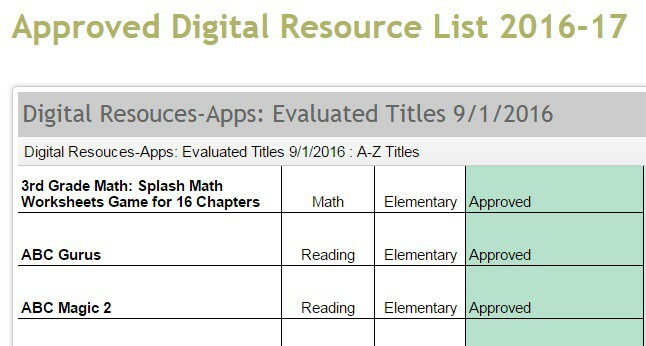 Download the Updated Grade Level Lists on the Saxe Library Homepage! View an info-graphic summary of updated titles to all our grade level 2016-17 reading lists. 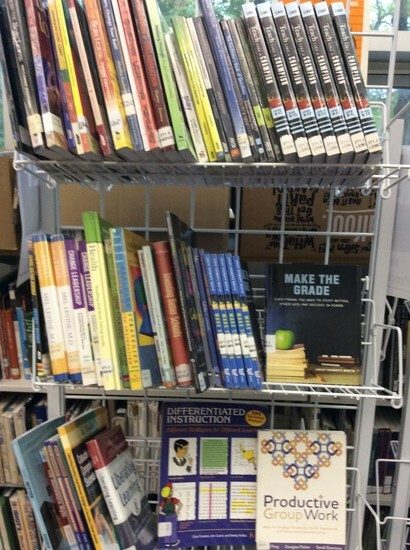 All books can be found on the grade level carts on the first floor of the library. (See photo) Each grade level has at least 100 books for free reading suggestions. Thanks for all your support! Best wishes for a great year. The library will be sponsoring and/or supporting the following events this year. Please mark you calendars. JUNE: Grade 5 & 6 Battle of the Books!